Some days ago, Airbnb, a community of users who need to rent out apartments, announced a colossal redesign of its website and introduced a new modern logo that will replace the old lower case “airbnb” design. The functionality of the website will remain the same; updates mainly regard the graphic aspect. 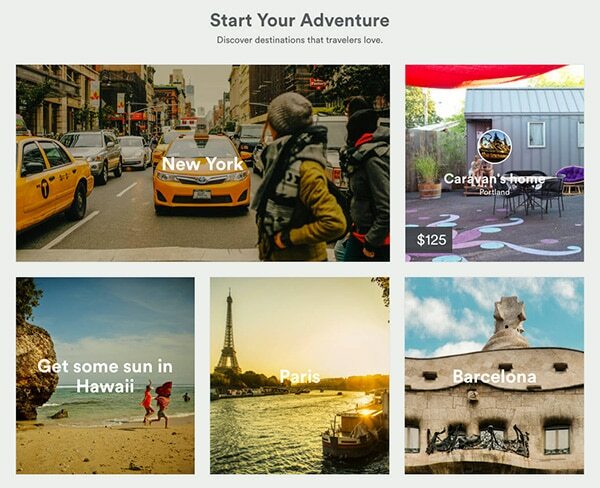 With the new website, Airbnb follows the flat design trends: There are no more shadows and gradients, there is more white space that gives an idea of freedom and quiet, light fonts are preferred to bubble and bold ones and there is a strong geometrical order. First, let’s concentrate on the new design of the website. Every page has been redesigned following the customer feedback: The result is that, now, finding necessary information is much easier and faster and the platform is definitely more attractive. New graphics are intended to display what really matters for people who are looking for a house. 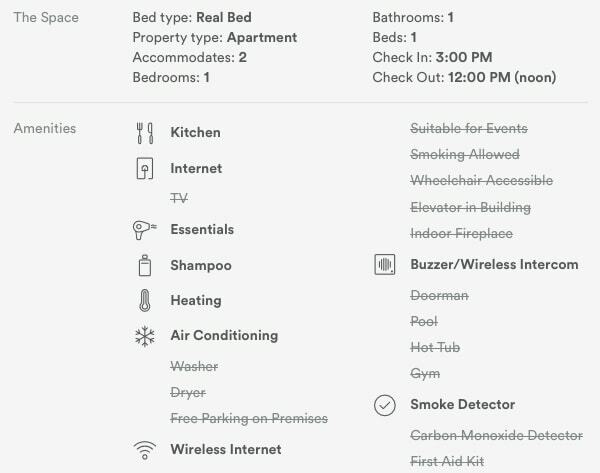 As soon as you open the accommodation page, you see that some images of the apartment responsively fill all the upper part of the computer screen. Different from the old site, in that there is no text over the photos, Airbnb wants you to concentrate exclusively on the room you are looking for. Under the pictures, you will find important information, such as the number of people who can be accommodated, rating, number of beds and a profile photo of the host. If you continue scrolling, you will find additional characteristics of the apartment, from the amenities to price per night with a detailed description and house rules. At the bottom of the page is an “About the Host” section and some useful reviews of the house. Another improvement is that the booking widget always remains visible when moving toward the end of the page, in this way, if you decide to book, you don’t have to go back on top. Let’s now analyze the redesign from a graphic point of view. 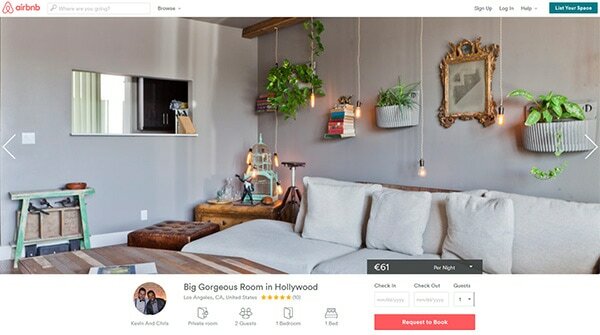 Airbnb decided to go with a cleaner and fresher look to its platform in order to attract different kind of customer, from the students looking a place to stay on vacation to older clients or business professionals. The new user interface is minimal and there are only simple elements, all the references to the skeuomorphic design have been abolished, crisp edges are preferred to shaded ones and usability becomes one of the most important elements. All of the buttons, words and logos on the new website are made without shades or embossing effects but they’re completely plain and neat and, moreover, many of them are colored with magenta, a flat color. This is due to Airbnb’s founder and CEo Brian Chesky’s love of that tint; he says magenta can evoke a modern feel, a fun tone, pop look and it gives a sense of energy. The rebranding was also inspired by fear. Chesky realized the old design and logo were starting to restrain the ability to go mainstream and to attract new people, thus, he decided it was time for changes which could convey a whole new identity and expression of the company. The old logo was characterized by shades, glossy and bubble effects; it was composed with a bold typeface and it was light blue, a color too similar to the tonalities of Facebook or Twitter brand-images. That logo worked well in the first years of the company, when there were problems much more important than graphics, such as the need of funding the platform and the necessity to make Airbnb known worldwide. After these things have been solved, it was time to focus on the graphic aspect since the aesthetics are of primary importance too. The symbol was designed to represent a paperclip stretched out creating an A but is also reminds us of a location marker or a person with his arm above his head or even an upside down heart. More generally the logo stands for people, place and love. Certainly it’s a more modern symbol, it’s cleaner and it will be easier to recognize while traveling the around the world. Indeed, Airbnb wanted a logo that anyone could reproduce “whether drawn on a mirror or etched in the sand,” and the company hopes that the new logo will become a widely famous and iconic images such as the Nike’s swoosh or the McDonald’s M.
However, not all that glitters is gold. The famous German designer, Erik Spiekermann, who counts about 290,000 followers on Twitter, noticed that the Airbnb new logo is very similar to the one of “Automation Anywhere,” a tech company established in 2003. Of course there are some differences: “Automation Anywhere” colored the image with a mix of yellow and orange instead of magenta, and Airbnb’s logo seems to be a bit thicker. Despite these little variations, the analogy is very strong. Airbnb quickly stated that the two companies are working together to solve the problem and that “Automation Anywhere” is in the process of creating a new logo that won’t look like the Airbnb one. At first glance, much better than it was. Same in length, has many similar letters (starts with a) (two b or two d) (i) and for that reason gives me an immediate relation to adidas. Sorry, but the new design is very inconvenient and difficult to use and absolutely irrelevant. In the old version the user could immediately see the right part of the window the most essential information about a listing like: the host’s Response Rate, Response Time, number of reviews, Property type …. Now in the new look one has to scrol down to find this info.